Notice: This is an old thread. The last post was 2583 days ago. If your post is not directly related to this discussion please consider making a new thread. 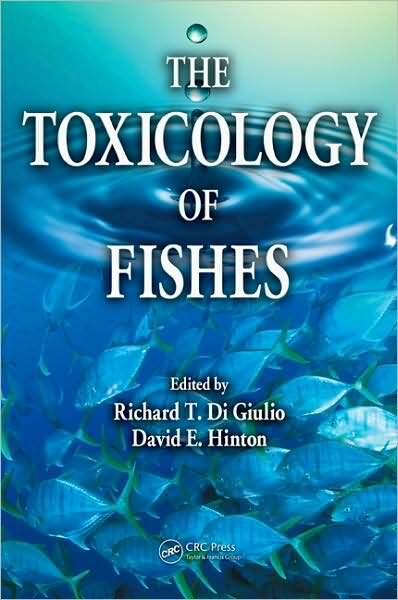 The Toxicology of Fishes is an in-depth, state-of-the-science monograph concerning the interactions of chemical contaminants with freshwater and marine fishes. It includes discussions of critical general principles, such as bioaccumulation, toxicokinetics, biotransformations, mechanisms of toxic action, and adaptations to chemical stress and key target systems of fishes, such as liver, kidney, gills, nervous and immune systems, and reproduction. It also covers methodologies and applications for exposure, assessment, toxicity testing, and ecological studies and includes case studies that illustrate the toxicological impacts of important classes of chemical contaminants in real-world settings. Last edited by Motoko; 7th July 2013 at 04:11 PM. Reason: ADD INFO, IMAGE, DESCRIPTION. Last edited by Motoko; 15th August 2014 at 02:16 AM. Reason: UPDATE. ADD ALTERNATIVE.